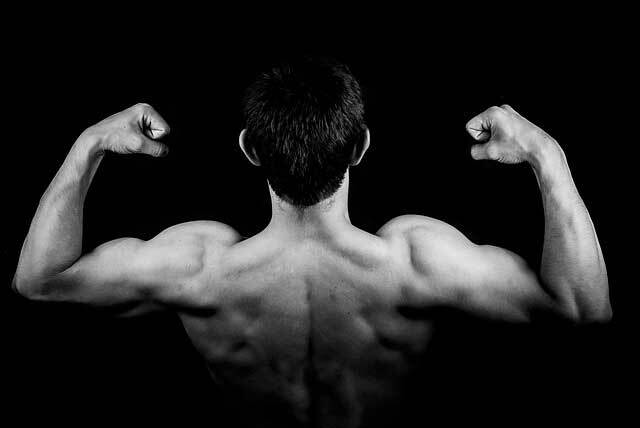 A strong back isn’t just aesthetically appealing. A strong back helps support your spine correctly, reducing or even ending back problems. In addition, if your job involves sitting or standing for long periods of time, a strong back can help reduce unhealthy slump in your seat. Strong back muscles are the key to good posture – standing tall, and walking strong. Neglecting your back can lead to rounded shoulders causing neck and shoulder pain. Incorporating more back exercises into your routine can help those muscles develop along with your chest for a more balanced visual appeal. Plus, working the muscles in the front without adequately working the muscles in the back can lead to muscle imbalances that may cause injury or pain. Your back is a complex web of muscles, and a proper workout will help each group develop together and individually. Whether you’re trying to achieve the “Christmas Tree” or V-shape, or you just want extra support for better health, understanding what you’re working is just as important as which exercises to do. Any of these parts of your back can become injured from improper lifting, twisting, or bending. A strong back helps keep the spine in proper alignment and gives you that stabilization and strength to keep good posture for proper lifts throughout your day, not just in the gym. The muscles located underneath your back include the trapezius, rhomboids, latissimus dorsi, teres major and minor, and the spinal erectors. The muscles at the front of your body help develop and sustain your back’s strength. Your rectus abdominus and obliques help stabilize you to pull heavier muscles and lift properly. Depending on the exercise, your arms will grow, too. These use the latissimus dorsi (lats) that wrap around your body’s sides and under your arms. These help build width and give your torso a wider, flared shape. They can help emphasize a smaller waist with their width. To begin, you’ll grip the bar at a dead hang. As you pull your chest to the bar, feel your shoulder blades pull naturally toward your waistband or back pocket area. This forces your upper back muscles to engage, versus relying on your biceps to perform the moves. There are several variations of these that you can do, from the beginner’s chin-up to more advanced moves. To begin a chin-up, grasp the bar with a shoulder-width grip, underhanded. Slowly, using your back, pull yourself up so that you can peek your chin over the bar. Hold, then slowly lower down. That is one rep.
For the pull-up, you’ll do a move similar to a chin-up, except you’ll use an overhand grip slightly more than shoulder-width apart. Move in the same manner as the chin-up. As you progress with your ability to pull your body weight, you can experiment with mixed (over and underhand) grips, longer “hold” times at the top, or how far you can lift yourself. There’s really no limit to this exercise. Many bodybuilders swear by this exercise. Get the most out of your move by performing this exercise using a slow, measured pull. The importance here is control and speed – you don’t want fast, jerky movements. Each set should consist of 8 to 12 reps, making sure that you keep your upper body stable and in place through the set. To perform this exercise, sit on the lat pulldown station, gripping the bar overhand with hands placed just beyond shoulder width apart. Keeping your torso straight, pull your shoulders back and down, bringing the bar gently to your chest. Hold briefly, then slowly return to the starting position. This is one rep. This is the mother of all bodybuilding exercises. When it’s done correctly, the deadlift can give you great results on your back. As you pick up and put don the barbell, the muscles in your upper back, (the rhomboids, erector spine, traps, deltoids, and lats) all pitch in to keep your shoulders from firm, your lower back from rounding, and your torso straight. A strong back helps you perform this exercise – weakness in our back can cause injuries during a deadlift. With the barbell loaded against your shins, bend at the hips and grab the bar with an overhand grip, hands shoulder-width apart. Keep your back in its natural arch and pull your torso up and thrust your hips forward as you stand, lifting the barbell. Lower the barbell back to the floor, and repeat. This variation on the row allows you to add more weight, thus giving you greater capability to really build that back. Rowing with heavier loads allows for more muscle growth in the middle back, including your delts, traps, and even the rotator cuff muscles. To perform this exercise, use an underhand grip to focus on the rhomboids, which help your traps pull your shoulder blades together. These muscles sometimes get weak, if you have a job that’s primarily sedentary. Grab a barbell with an underhand grip, shoulder width apart. Holding the barbell at arm’s length, lower your torso until it’s parallel to the floor, and bend your hips at the knees. Let the bar hang at arm’s length, then pull the bar back to your chest as you squeeze your shoulder blades together. Hold, then slowly return to start. This classic upper back exercise can be given extra difficulty by adding a 4 count pause when the bar is at your torso, then slowly returning to start. Again, the key to rapid gains is performing each movement slowly, with plenty of control. Strengthening these muscles is important because weakness in the shoulders can lead to instability, which can cause injury. Begin by pulling your shoulders down and back. This keeps them in the correct place to prevent strain. Attach your bar to the cable station and position yourself with feet braced. Using an overhand grip, slowly pull the bar toward your upper abs, hold, then release. This is one rep. Repeat 8 to 12 reps per set. Take care not to lean forward and back when performing this exercise.